This Logic Maths Brain Teaser is very simple but thought invoking Brain Teaser for Teens. In this Logic Maths Brain Teaser, there are many equations. Left side of equation contains month name and right side of equation contain a number. 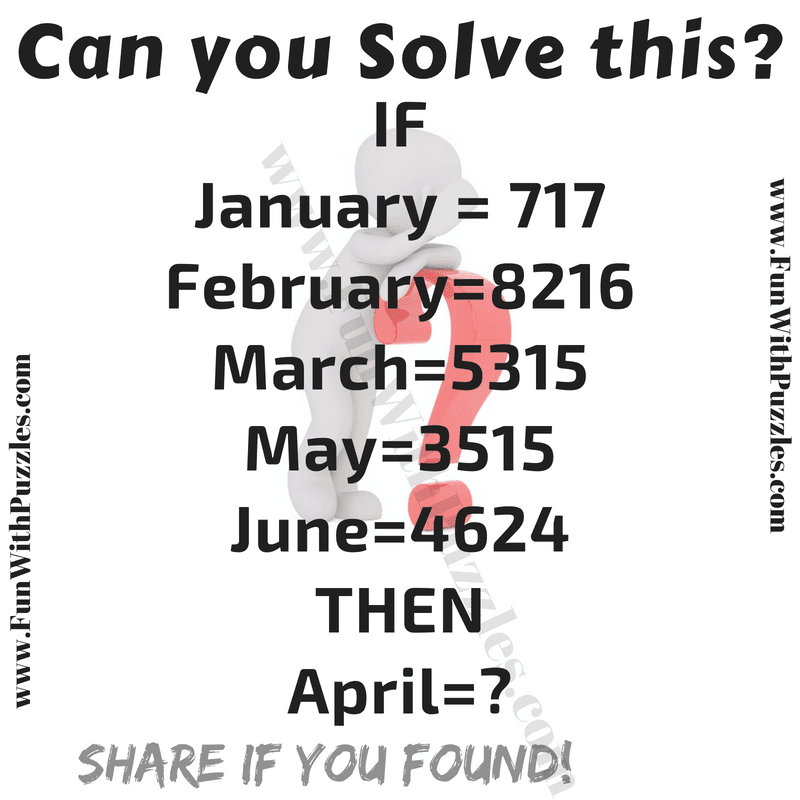 Can you find the relationship between these months and numbers and solve this Logic Maths Brain Teaser? Can you solve this Logic Maths Brain Teasers? 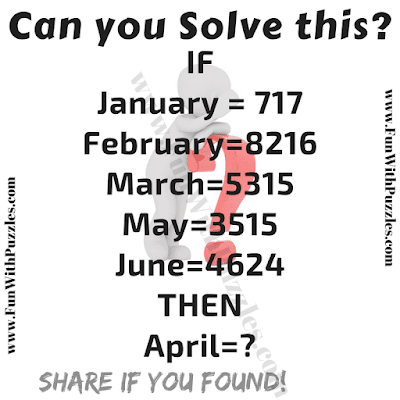 Answer of this "Logic Maths Brain Teaser for Teens", can be viewed by clicking on button. Please do give your best try before looking at the answer. Yes, This is correct answer for this Logic Math Brain Teaser.